Playing with the Boundaries of DIY Crafting Fun. Planting Life's Simple Pleasures to Watch Them Grow. You can make almost anything into something else, but for the most successful creative projects, it helps if you have a vision (and a good reason doesn't hurt either). That is the essence of Crafting in general and working with found objects in particular. The Plaid Pigeon has applied this principle to create a simple, but oh so clever signature craft creation that is Fun and Functional. Perfect for a child or an adult's inner child, their Original Toy Planter is great decoration. In a way, it is also a fascinating juxtaposition. You have a living plant placed in the not so alive plastic figure of a living creature. Plus, you have a toy that requires a tad bit of responsibility to keep its plant alive. But you don't have to grasp the irony in these crafts to enjoy them. 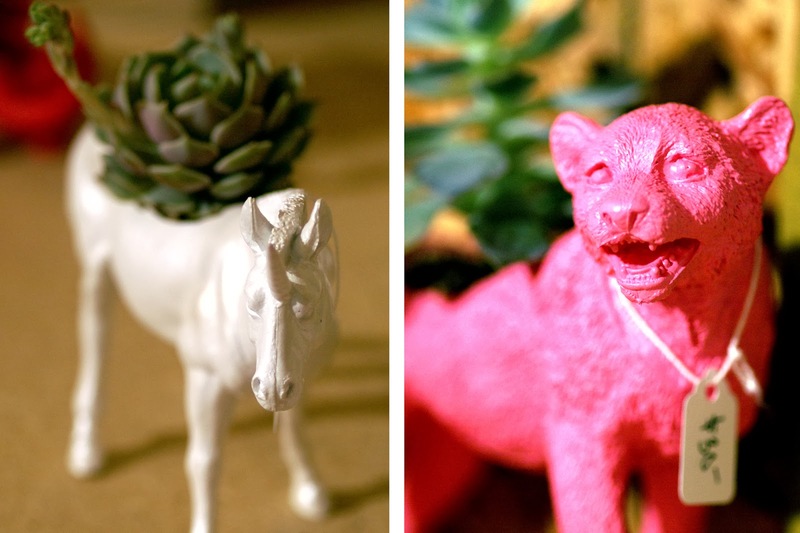 I personally would love a whole colorful zoo of Dinos and Wild Animals, proudly sporting their respective succulents. 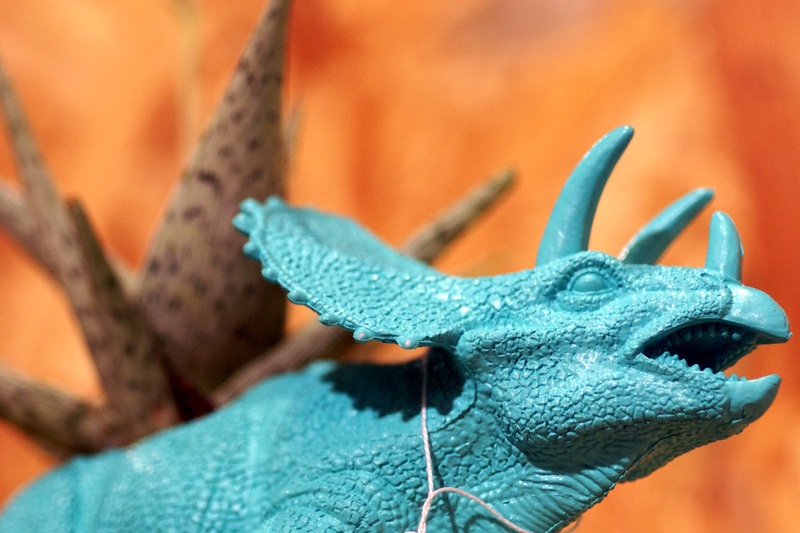 With so many fun colors and creatures to choose from, its hard to pick just one.